Mattel's nabi® Brand Introduces First-Ever Connected Kids Room Platform In Tandem With Microsoft And Qualcomm - Aristotle™ | Mattel Inc.
EL SEGUNDO, Calif., Jan. 4, 2017 /PRNewswire/ -- Mattel's nabi® brand, known for creating innovative high tech solutions for kids and families including the acclaimed nabi tablet line, will be unveiling its latest ground-breaking innovation at CES: Aristotle™—a first-of-its kind connected kids room platform developed together with technology heavyweights including Microsoft, Qualcomm Technologies, Inc., and Silk Labs. Unlike other voice activated, AI-driven connected home platforms, Aristotle is designed with a specific purpose and mission: to aid parents and use the most advanced AI-driven technology to make it easier for them to protect, develop, and nurture the most important asset in their home—their children. Mattel will debut the Aristotle voice activated kids connected room hub and camera bundle at retail this summer. Aristotle is designed to comfort, entertain, teach, and assist during each development state—evolving with a child as their needs change from infancy to adolescence. In building Aristotle, Mattel's nabi brand focused on solving parents' biggest concerns when it comes to IoT: security, privacy, and intuitive ease of use. To that end, Aristotle has been designed with security top of mind, with special attention to COPPA compliance measures and how data is collected, transferred, and stored. Meanwhile, the platform's Artificial Intelligence will utilize three distinct AI engines, including Microsoft Cognitive Services and the Silk Intelligence Platform. These multi-levels of AI enable Aristotle to learn patterns and autonomously act upon user habits to aid in child development and learning. Aristotle's AI will also have a unique personality that will appeal to parents and kids and will be presented as the great descendent of Aristotle himself. The Aristotle platform solves one of the biggest issues facing IoT today. Current IoT platforms activate a series of disaggregated devices that must be purchased separately, set up individually and may or may not be compatible with one another. Aristotle incorporates AI, voice, sight and sounds into its hub and camera, providing an all-in-one solution that simply works together. Therefore, the core system is much more than a stylish Bluetooth®/Wi-Fi® Direct speaker with a powerful, voice activated AI. With its dynamic built-in LED multiple color lighting system and companion Wi-Fi camera, Aristotle delivers more enhanced AI capabilities that enable it to do more specialized functions autonomously, including helping sooth a crying baby, purchase diapers or find online deals, reinforce good manners in kids, and even help kids learn a foreign language. Jim Mitchell, VP and GM of nab, said, "Raising kids can be hectic and we saw a need for an IoT system that simplifies the complex and dynamic lives of families, while providing them with peace of mind. Our goal with the launch of Aristotle is to provide parents with a platform that simplifies parenting, while helping them nurture, teach, and protect their young ones." Best-in-class partners in tandem with Mattel and nabi's deep understanding of childhood milestones come together to create a voice-activated AI product that is specifically tailored to families and unmatched in this vertical by any other IoT system on the market. Aristotle uses Microsoft Cognitive Services – and soon Cortana Intelligence – for custom built AI with baby-centric features. It also includes search capabilities tied to parenting questions around baby and child care, powered by Bing. The multi-faceted Aristotle hub is integrated with a smart light system—a night light, reading light, changing light, and multiple color lighting—specifically designed as a dynamic feedback system tied to the AI. The hub is powered by Qualcomm Technologies' Smart Home Reference Platform based on Qualcomm® Snapdragon™ 212 processor. The companion Wi-Fi camera with object recognition and movement detection is designed to further enhance its AI capabilities enabling Aristotle to perform more specialized functions. Aristotle can automatically play a lullaby and turn lights on dim when it hears a sleeping baby begin to cry. Or for a toddler, the dynamic lighting system will light up green or red to acknowledge if the child has answered a question correctly during a voice activated learning lesson. Aristotle's integrated smart light and Wi-Fi camera work seamlessly with its built-in parental controls so that it reflects the experience of what parents want. What's more, with the addition of 3rd party services, including IFTTT, the possibilities are truly endless with Aristotle's "Do This When" autonomous AI protocols. Aristotle's proprietary intelligence platform was created in conjunction with Silk Labs enabling nabi to create its own hardware and software experiences. The platform features both a parent and child mode. In Child Mode, parents can set parameters and customization for child interaction, such as requiring the word "please" in voice commands in order for Aristotle to complete the request, or restricting purchasing capabilities. Aristotle was also built with ease-of-use in mind. Setting up the device is simple—while next to Aristotle, open up the Aristotle app and the app will configure Aristotle onto your home Wi-Fi network. The platform has been built with COPPA compliance in mind, recognizing parental concerns about children's online privacy. In addition, HIPAA protocols guide many of our data transfer practices. That means we apply the same data safeguards as hospitals to promote data security. For example, Aristotle utilizes 256-bit end-to-end encryption when transmitting user activity information, including baby monitor video stream. Access to data is through mobile devices that have been paired in close proximity to the Aristotle hub, and with proper approval through parental controls. Aristotle baby – Hands-free way for parents to keep track and monitor sleeping, changing and feeding developments. Hub serves as all-in-one nursery necessity with functionality as baby camera, night light, changing light, white noise machine and lullaby speaker. E-commerce functionality tied directly to key retail partners will enable Aristotle to automatically reorder or look for deals and coupons on baby consumables, formula and other baby products when it detects you are likely running low on the specific item. Aristotle toddler – Use audio, visual and tactile learning methods for ABCs, 123s first words, sing-alongs and story time. Aristotle kid – Homework helper, entertainment unit to watch and listen to music, playmate to play 2-player voice games against. Aristotle tween – More sophisticated learning capabilities including foreign language lessons, in addition to core entertainment functions. nabi has attracted many third party partners including Silk Labs, BabyCenter, Little Pim, iHeart Radio, FEN Learning, and Tipitap whose child development/parenting advice, learning, music entertainment, books and games content can be instantly accessed through the Aristotle hub and corresponding Aristotle app. A robust software development kit (SDK) will enable additional applications to be developed from partners that will enable Aristotle to learn and perform more skills that further simplify and enhance the lives of parents and kids. 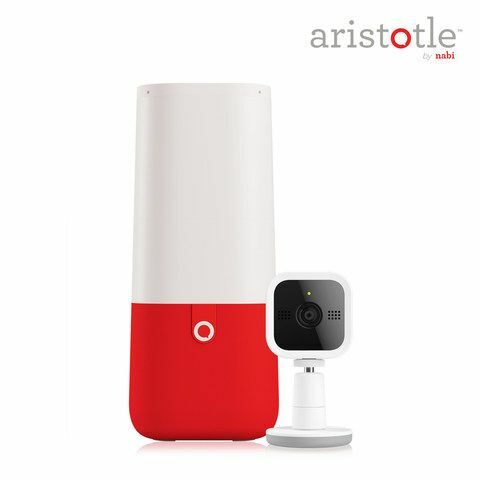 Mattel's nabi unit is also developing a line of connected hardware to improve the lives of children and families that integrates with Aristotle, beginning with a baby monitor that is expected to be available at launch. Aristotle was designed to be compatible with several current IoT systems to enable parents to further build out and customize a truly smart, connected kids room. Aristotle will also connect seamlessly with Wink, Wemo, Samsung Smart Things, Philips Hue, Zigbee among others. 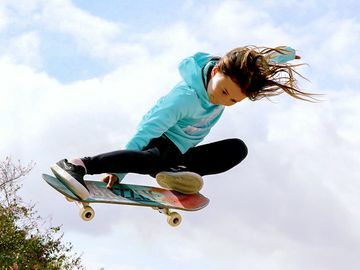 Sam George, Director, Microsoft Azure IoT at Microsoft Corp. said, "Mattel chose Microsoft as an enterprise grade technology partner to help empower their digital transformation. The technologies that Mattel is leveraging, from Azure IoT Suite, to the Cortana Intelligence Suite to cutting edge Cognitive Services, are enabling a business revolution across industries. We're excited to help Mattel accelerate Aristotle's introduction to the market and value our collaboration with them." "Mattel is taking advantage of some of the newest and most exciting technologies from Qualcomm Technologies, like deep learning, voice recognition, audio, display camera and connectivity, to bring the benefits of the IoT to the home," said Raj Talluri, senior vice president, Qualcomm Technologies, Inc. "We are pleased to work with Mattel, which has used its deep knowledge of families and children to create a powerful set of smart home capabilities together to bring safety, monitoring, entertainment and other new benefits in a compact and powerful platform." Dr. Andreas Gal, CEO of Silk Labs, said "Intelligent consumer products like Aristotle are paving the way for a new class of meaningful experiences that improve our everyday lives. Silk is excited to be partnering with Mattel to lay the groundwork for this new product category. By leveraging the latest advances in neural networks and machine learning, Aristotle has a unique ability to learn and become smarter over time while ensuring maximum privacy and safety. We believe this is the future for all connected products." Aristotle is the latest product from nabi, which, after joining Mattel in early 2016, continues to expand its portfolio of family-friendly technology solutions. In addition to its line of award-winning tablets and other technology products, nabi has been the recipient of a series of prestigious accolades, including a place on Fast Company's Most Innovative Companies list. Mattel's nabi® brand is known for creating innovative high tech solutions for kids and families including the acclaimed nabi tablet line. Nabi is committed to creating family solutions that are: (1) socially responsible, (2) made right, (3) make a difference in people's lives, (4) for and by parents, and (5) dedicated to the intellectual development of children. Nabi has also been the recipient of a series of prestigious accolades, including a place on Fast Company's Most Innovative Companies list. Mattel is a creations company that inspires the wonder of childhood. Our mission is to be the recognized leader in play, learning and development worldwide. Mattel's portfolio of global consumer brands includes American Girl®, Barbie®, Fisher-Price®, Hot Wheels®, Monster High® and Thomas & Friends®, among many others. Mattel also creates a wealth of brands and products made in collaboration with leading entertainment and technology companies. With a global workforce of approximately 31,000 people, Mattel operates in 40 countries and sells products in more than 150 nations. Visit us online at www.mattel.com. Qualcomm Technologies, Inc. is a subsidiary of Qualcomm Incorporated. Qualcomm and Snapdragon are trademarks of Qualcomm Incorporated, registered in the United States and other countries. Silk's mission is to bring human intelligence to connected products. Founded in 2015 by Andreas Gal (former CTO of Mozilla) and Michael Vines (formerly of Qualcomm), Silk is a machine learning company that provides an on-device AI platform enabling real-time visual and audio recognition. Using the latest advances in deep neural networks, we empower businesses to build the next generation of intelligent connected devices.